Rio, a South Houston farmer, is credited with saving more than 200 flood victims in the aftermath of Hurricane Harvey. He used his John Deere tractor to move flood victims to safety. 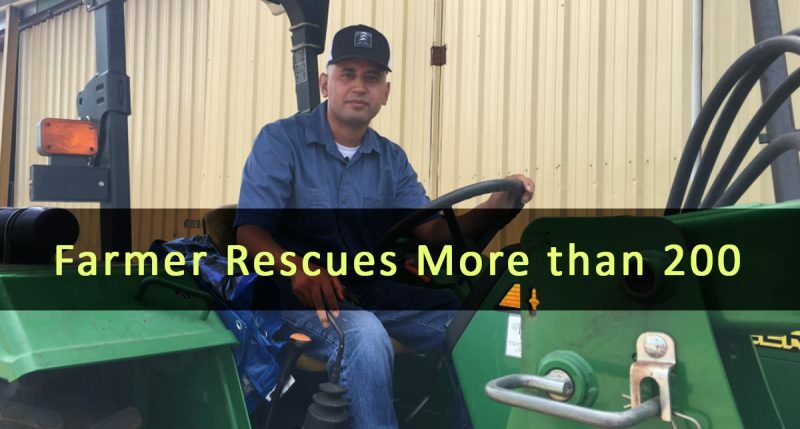 Rios’ tractor has four-foot tall tires and a front end loader capable of driving through the high water and rescuing people trapped by the fast moving flood. He told the reporter he began hauling people out four at a time, but then things escalated. Areas near the Houston suburban neighbor received rainfall totals between 30 and 50 inches as then-Tropical Storm Harvey waltzed across Texas for nearly a week. John Deere, let’s hope you’re reading this. Please give that man a whole Fleet of tractors. You can’t buy that kind of advertisement! Previous post Is NAFTA Good for American Farmers?